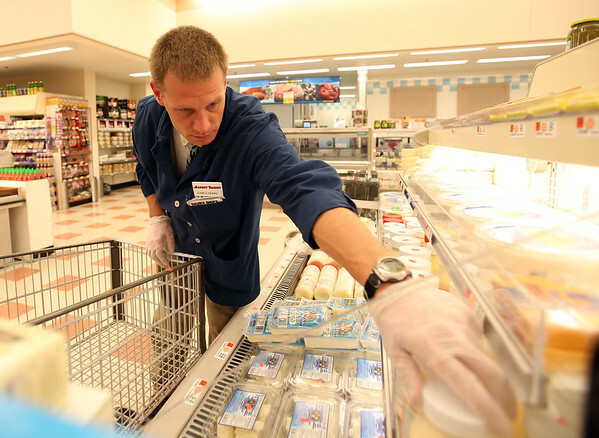 Market Basket employee John Hodgson restocks some shelves on Thursday morning. DAVID LE/Staff photo. 8/28/14.